Hot flushes are a frustrating part of menopause for many women. As one of the most common symptoms experienced leading up to menopause and after, finding new ways to handle the discomfort remains important. 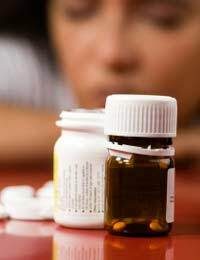 One type of medication that has shown success is an antidepressant. It brings another option to treat hot flushes as an alternative to hormone treatments that are often prescribed, especially for severe hot flushes. For women who took a specific antidepressant on a clinical trial, the frequency of their daily hot flushes went down nearly fifty percent over a two-month period. For those who received a placebo – no active ingredient – their hot flushes went down by only a third. Another benefit was that the severity of the symptoms went down and no serious side effects were reported either. At the start of the study, the women had approximately ten hot flushes a day on average. After two months, this figure had gown down to approximately five a day for the women on the antidepressant, and six to seven a day for the women taking the placebo. Given that antidepressants are meant to treat depression and anxiety, use of this particular antidepressant for hot flushes would be considered off-label. At this time, the company who is responsible for the drug does not intend to have it approved for use of hot flushes although a doctor can still prescribe it off-label. Researchers are not even sure exactly how an antidepressant works to help hot flushes. While we already know that they work to increase a chemical in the brain called serotonin, we do not know exactly how this reduces hot flushes. It is still very important to note that the antidepressant is not a cure for hot flushes. Instead, it helps to control them by reducing the severity and frequency of hot flushes. It is a key study to show how a non-oestrogen medication can help hot flushes. Given that there does not appear to be a link to cancer in the way that oestrogen therapies are linked to cancer, heart attack and stroke, this may prove to be a welcome alternative for treating hot flushes. It has been suggested that for women who don’t severe enough hot flushes or other menopause symptoms to warrant the risks of hormone therapies, taking an antidepressant may be a safer alternative. The benefits of the antidepressant generally were seen rather quickly. In fact, some women noticed benefits within just a week of treatment. Then, when the drug was stopped, it was within approximately two or three weeks that the frequency and intensity of hot flushes went up. Menopause brings a number of common symptoms such as hot flushes. While there are hormone treatments and natural ones available, they do not work for everyone. Sometimes, the risks of such treatments may not even make them an option for a woman. In these cases, using certain antidepressants could be a safer, helpful way to control hot flushes.